in 360i News with tags #Hashtagraids, 2015, 360i, A&E, Best Agency for Content, HISTORY, Honoree, imedia, oscar mayer, Sizzl Both comments and trackbacks are closed. 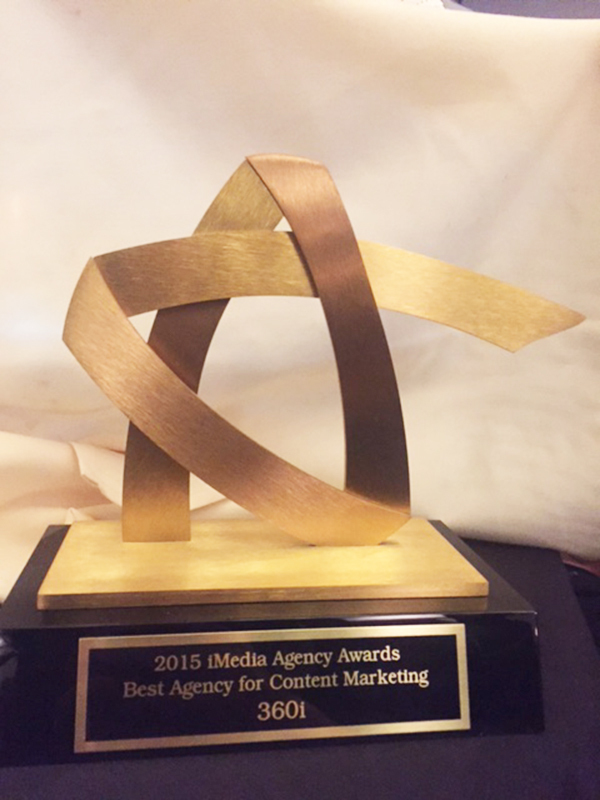 We are excited to share that 360i was named Best Agency for Content at last evening’s 2015 iMedia Agency Awards ceremony. 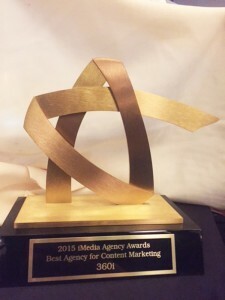 We’re honored to receive this recognition and be ranked among the top agencies driving industry innovation and leading in content development. As winners are selected each year by a public vote, we thank iMedia for the recognition as well as all who voted for 360i this year. Congratulations to the entire 360i team and our extended team of clients and partners for their vision, hardwork and dedication to making 360i the agency it is and eligible for such honors.